Patiently waiting for a comeback! 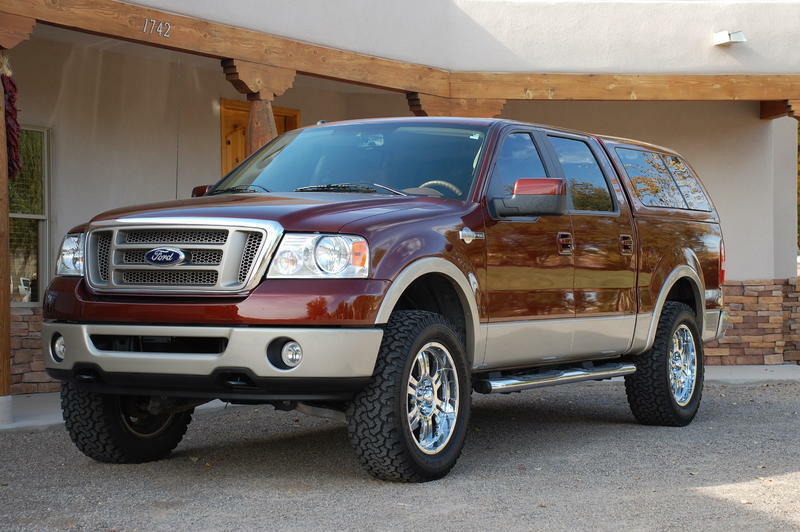 I was looking through some posts and came across a picture of your King Ranch. Love the look of those wheels, Do you remember the size and type/Name of those wheels ? I have the same truck as you and have been driving myself crazy researching what size tires to buy (Not Model, I'm trying to stay light for MPG). Im down to pretty much 275/60/20 in a ton of models or 285/60/20 in Cooper at3 (49 lbs per tire). Could you please give insight as to what real world mpgs you get with your duratracs (I realize they are heavier than what im looking at). For the record your truck looks great. Thanks. Sorry for late reply; see PM! Looking to improve the look of my 2014 white 4x4, Platinum Super Crew. Everything is stock at this point. However, now I need tires. Before I spend the coin, I want some advice. I think I want to level the truck, and go slightly larger with the tires, and a little more aggressive tread. 275/65(?). Any suggestions or comments? Can I get away with front level only? Any thoughts on tires? (Drive quite a bit on the hwy, don't mind a little more noise. It nothing crazy). Will I need any offset? I really like the looks of you white truck, but obviously I'm not intending to go that big with the tires.. Thoughts? Hey Desert Dog I am sure you get hit up often for the wisdom so I hope you don't mind it again from me... 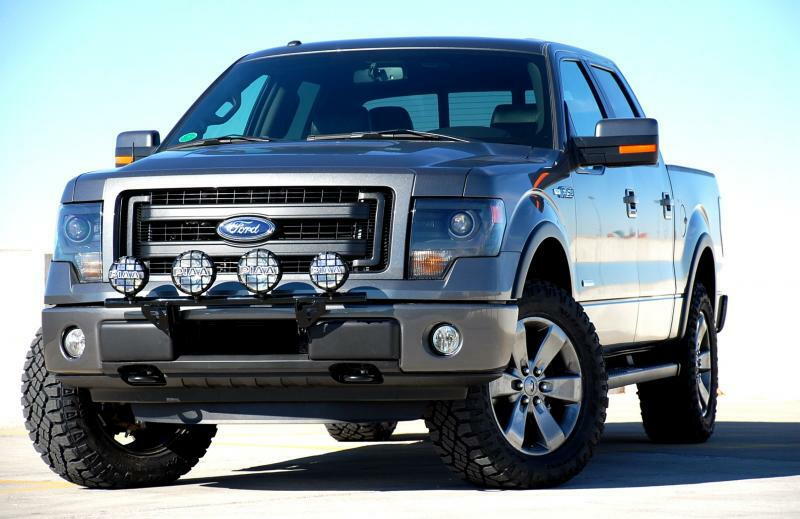 I just purchased a 2012 F-150 super crew 4x4 I love the stance/look of your White 2011 Ecoboost you did. I saw from earlier posts you used a 2" front leveling kit only with 305/60/20 tires. I am going to run 18's but is there anything I need to know about potential rubbing and how to mitigate it? any input or advice would be GREATLY appreciated. im looking through old posts from a year ago and i came across a post about leveling and a pic of your truck. what size wheels/tires are you using in this pic? Thank you. I have your exact 07 f150. I was wondering what kind of level you had on it and what are those rims called? Love your truck! Can you please tell me what kind of light bar that is? Also, did you have to use the wheel adapters in order to run the Icon UCA? Can you comment on the difference in ride on and off the road between the stock set up and the fox set up? Thanks in advance.